I hope you've come with some projects to share, but if not look around and see what you like! 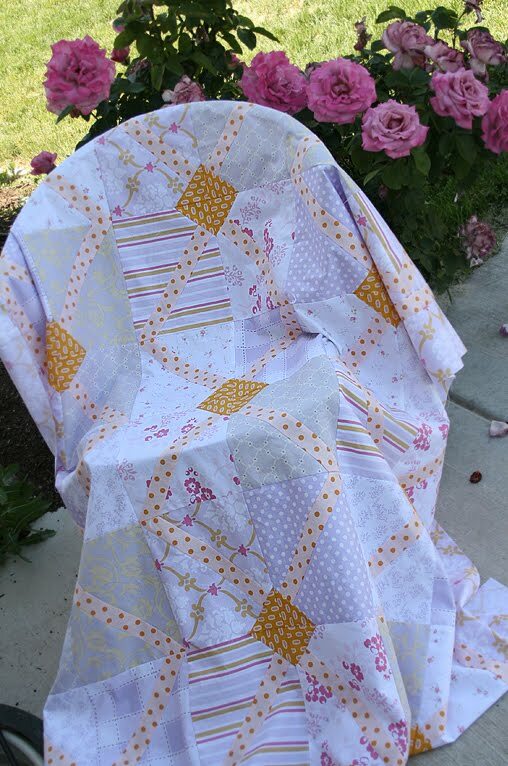 On fabric Tuesday we share some project we have finished that uses fabric. I finished the quilt top for my room! 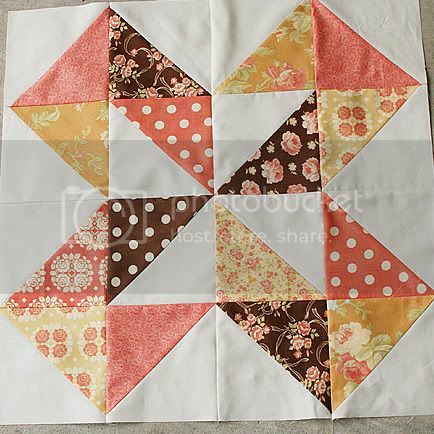 It's a combination of traditional and modern piecing with modern fabrics and layout. Thanks to my cute friend Ashlie for her beautiful home as a backdrop! 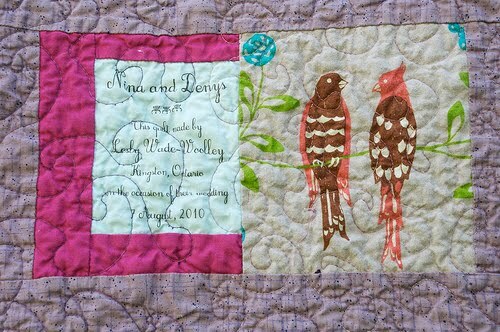 And even better, this afternoon I sent it off with our fabulous Aunt Wendy to be magically quilted. Don't you all wish you had an aunt Wendy?!? I will definitely be posting more when it's finished. edit: the button should now be working! Mention us in your post with either a link or make it easy and add the button to your blog sidebar and you won't have to remember each week. 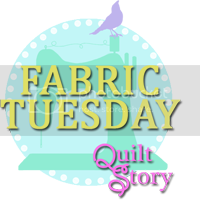 It can be either our blog button (on the sidebar) or the Fabric Tuesday button, you pick! Follow us, we follow back :) But please comment telling us you did so! Oh and comment on each other, that's so much more fun right?? 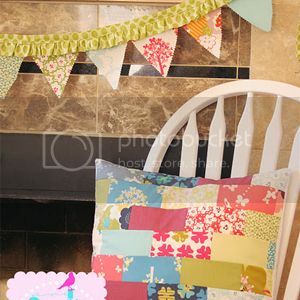 This is my friend Ashlie's wall, and she used all these different frames and cute fabrics. I L-O-V-E it! Confession. I have an addiction. My name is Aunt Spicy. 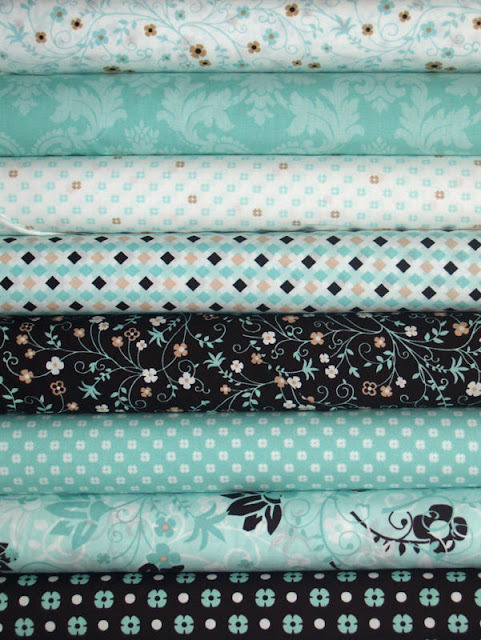 And I can not get enough of Jennifer Paganelli fabric. Every print. Every color. I just love them. So when my sweet friend had her second daughter, well I decided it was time to break out some of my favorite JP prints from her Flower Power line. 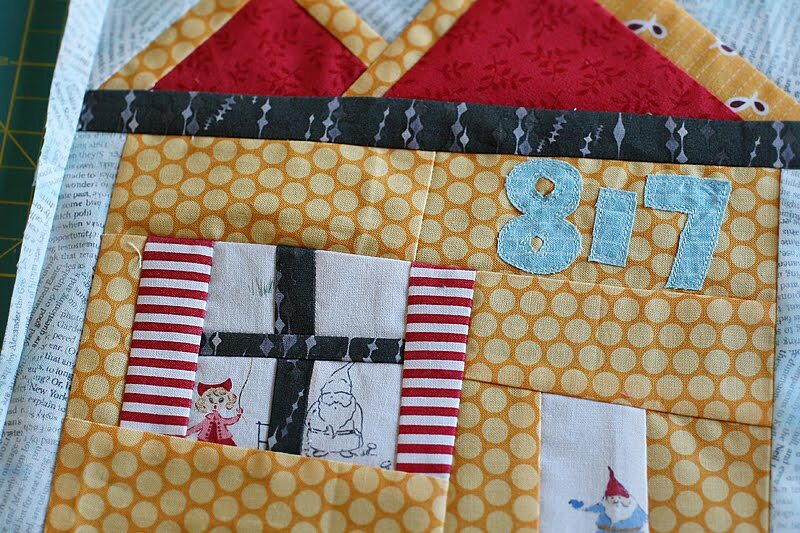 With fabrics in hand I quickly decided to use one of my favorite "go to" patterns, the disappearing nine patch. 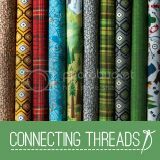 There are a lot of great tutorials out there on line, but you really can not go wrong with this pattern. Here is one I posted awhile ago, with different Jennifer Paganelli fabrics of course. And, yes, cutting into a perfect nine patch is a bit scary, but it is so much fun to rearrange the new pieces. Once I had the top finished, well life got the best of me. I broke my foot. The holidays came and went. And then the East Coast was blanketed in snow. Which ended up being the perfect time to get projects finished. So I sewed the back with more Jennifer Paganelli Elizabeth Rose. I had some fuchsia fabric with little birds in my stash (but don't remember the designer) that also found its way in. Added some bright pink ric rac (how can you not love, super love ric rac?) and voila! It was a happy burst of spring through the seriously cold winter! Now I try not to have favorites, but maybe, just maybe, all the other baby blankets will forgiving me for loving this one just a little more! 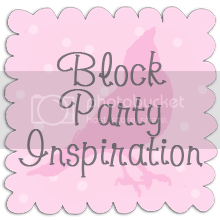 A huge thanks to Heather and Megan, for hosting such an amazing blog full of inspiration! Thank you Aunt Spicy! 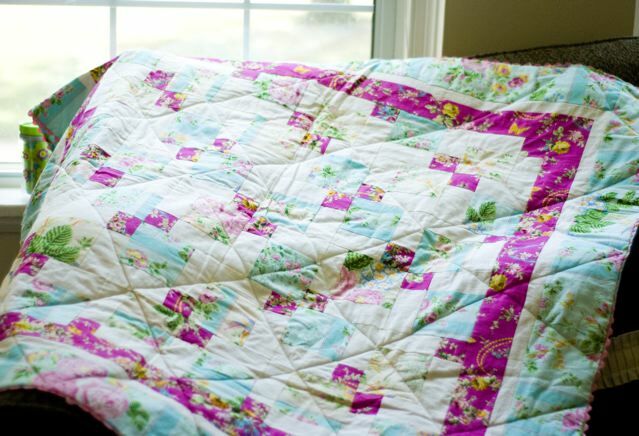 Love the quilt, and I super love ric rac too! 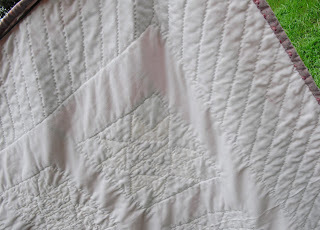 It is one of my favorite parts about this quilt, just something a little unexpected. Make sure to stop by her blog and say hi! Okay, this was a little difficult. I don't know if there is an easier way to do the giveaways. I made a monster excell chart to make sure everyone got the right amount of entries. Thanks to everyone who made a comment, thanks for all the blog posts, this giveaway was a huge success. And thanks to all our new followers. We think you will like it here! Trisha said...I love the Hooty HOot Kangaroo line by Riley Blake. I am trying to figure out what I could make with. andonlymehere said...Oh my gosh love the fabrics! The mint is too darn adorable. 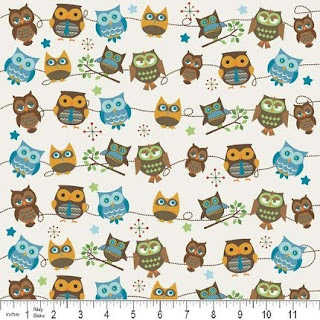 I'm going to have to hop over there on payday and get some owl prints for my daughter! 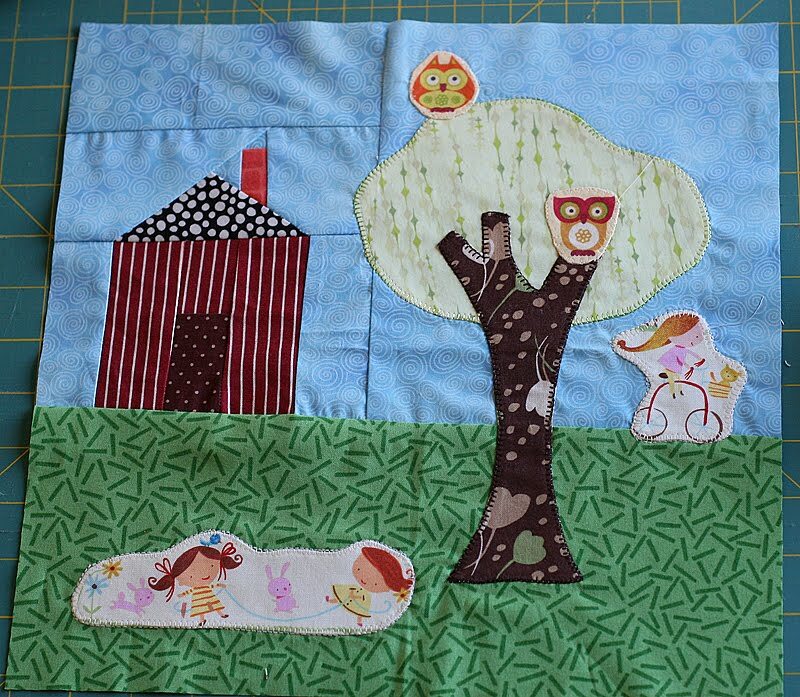 Thanks again for everyone for all the comments and support of Sara and her Ladybug quilt shop. 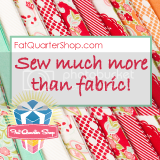 On any given day I hold many different titles, wife, mother, college student, gardener, and occasionally quilter. In May of this year my college classes were coming to a close for the session. 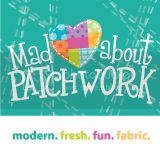 I was ready to dive into a project, when the June issue of American Patchwork and Quilting arrived. I was hooked and couldn’t help but get started. Mine looks a bit different from the cover picture, as most of my quilts are leftover pieces. 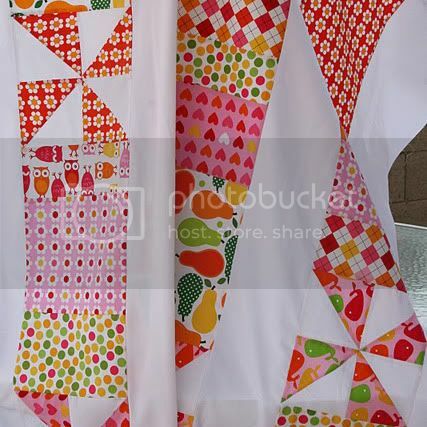 I don’t know the names of the fabric or even if what I used has a name. I went with what I liked and tried to work it all together. The finished quilt measures approxamately 66” X 88”. As the summer progressed and I worked through the heat to accomplish all of the handstiching, I wondered where this quilt would go. 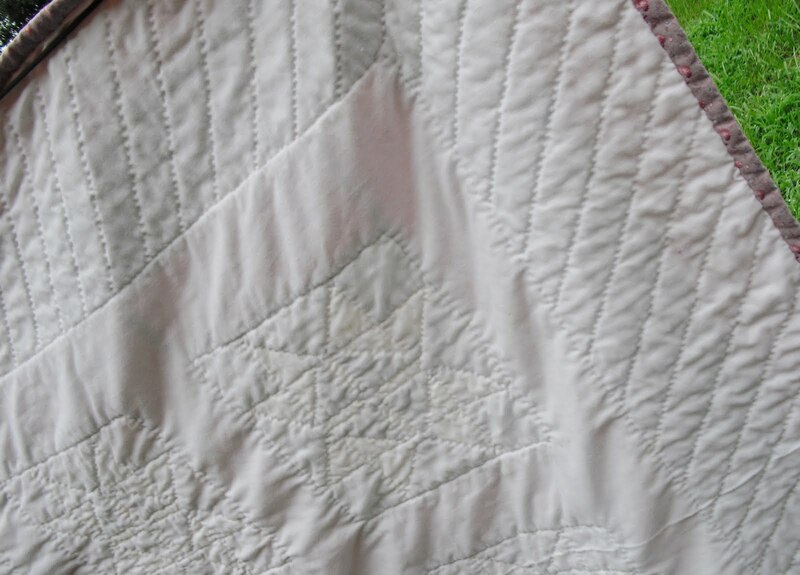 Normally each of my quilts are made with a specific person in mind. This time it was just a creative adventure for me. Time revealed whom this was to be made for. As I worked on, my son was a awarded a grant from the Central Pa Down Syndrome Awareness Group. http://cpadsag.org/ They opened possibilities in communication for him in ways that we just couldn’t have done on our own. 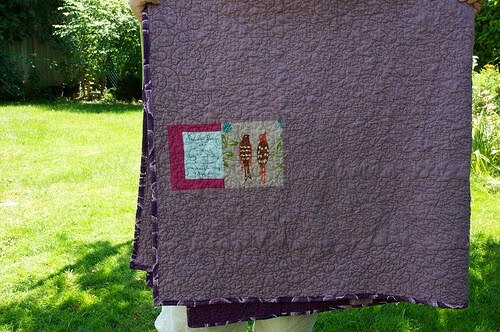 My heart swelled with appreciation that I decided this quilt should go to them. 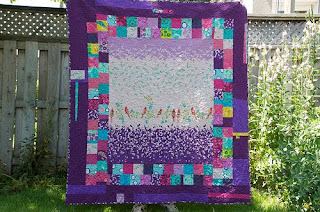 At the 3rd annual Buddy walk September 18, 2010 this quilt will be part of the silent auction. I hope that it will bring help to the group, so that others can receive the blessing that our family did. 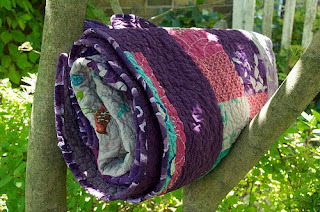 I also wish that the quilt provides warmth and comfort to someone who needs it. 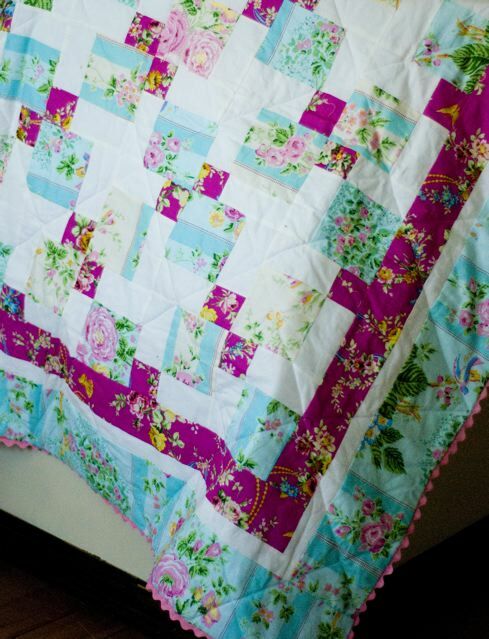 Thanks Charity, this was such a good cause and beautiful quilt. 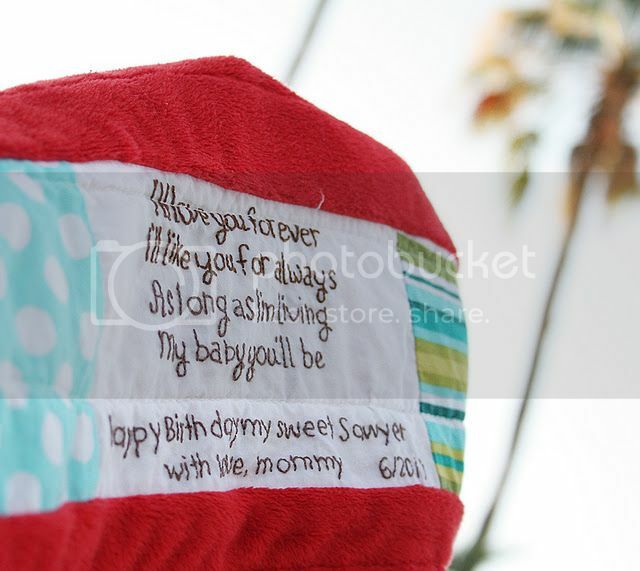 Check out the amazing handstitching! Make sure to go give Charity a good welcome on her blog! Okay I am in LOVE with this quilt and I wish Lesly was my friend and she could have made it for me as a wedding present, or just for my birthday! I am not normally drawn to these vivid colors, I am normally a muted tones type of girl...not neutrals, just soft colors...in my fabric choices, and on my walls. Anyhow, I saw this post and asked Lesly of Pickledish if we could pretty please feature it, and she kindly said yes. 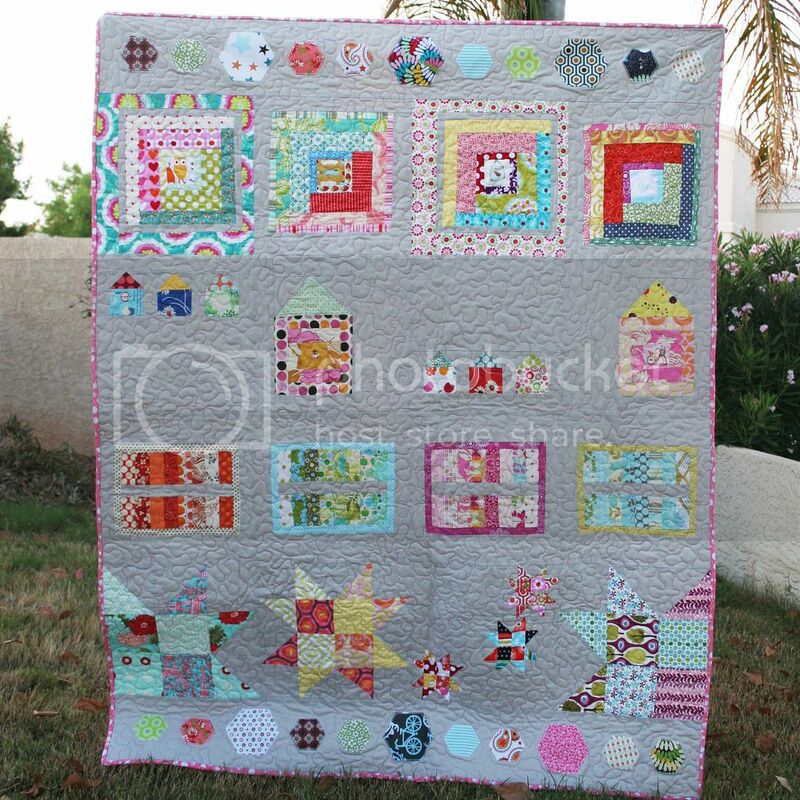 Lesly is one of those girls with eleventy billion finished quilts on her sidebar. 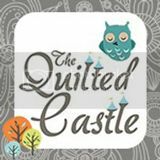 (Oh how I wish to be one of those girls) go check her out for some great quilts! 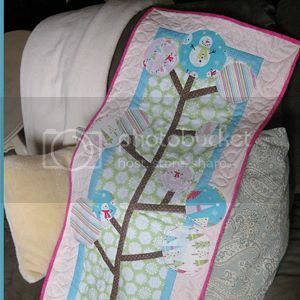 Thank you much Lesly, I am sure you have inspired many with this beautiful quilt. I hope they all loved it , and I hope you got alot of ooohhhs and ahhhssss... make sure to visit pickledish. 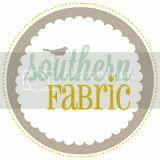 And we still have our amazing fabric giveaway courtesy of Ladybug Quilt shop going on here, so make sure you've entered! First we want to show a fabric finish of our own for the week. 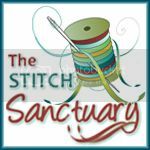 Heather and I felt like we had a lot of spare time and hardly anything on our plate, so we decided to sign up for a virtual quilting bee. 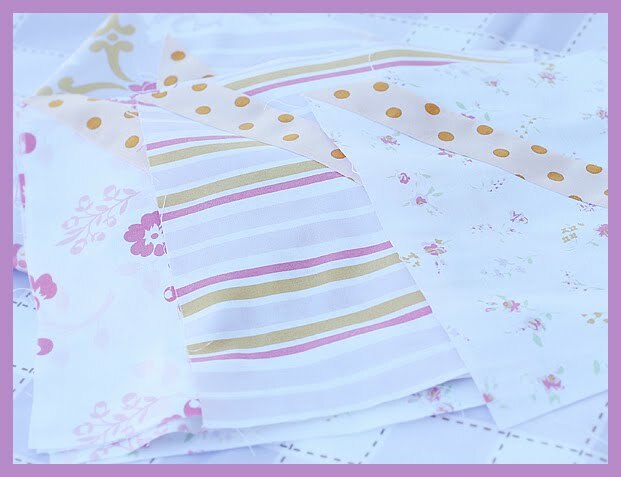 Essentially every month we receive fabric and instructions from another member, create a block for them and mail it back by the end of the month. This bee happens to be a house block bee. c.u.t.e. This block was totally freestyle. I ended up loving it! It helped that the instructions were for a "wonky" house. I started with the window and put a little gnome and girl with a balloon in it. Then I added shutters...Then I made the little piece with the door and frame. I just kept adding and adding. The address is just because I felt there was alot of extra space floating on the house. I feel like I should have made it part of her home address, but that genius didn't come to me until I finished the numbers. I hope she likes it! This is my second block. She wanted freestyle too. At first my house was to tall and skinny and I thought it looked like an outhouse. I added the grass and made it a shorter house and it fixed that problem. She also gave us some cute owls and little kids playing and wanted them added in. 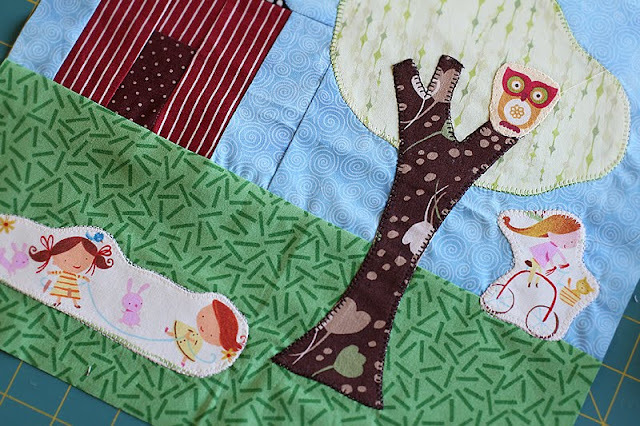 I appliqued them and the tree. I like the final product. Hopefully the lady in my group does too... (if I make them cute houses, I think I will get them back. 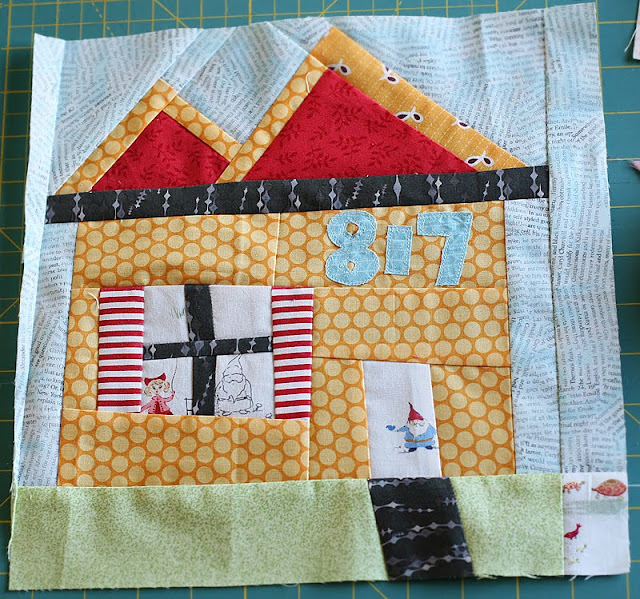 I am one of the last to send out fabrics) So far virtual quilting bee's are fun! Now we want to see YOUR fabric finishes! Here's how our linky party will work. First, the new button. Oh and comment, because Heather wants to know how great her house blocks look! EDIT NOW YOU CAN SUBMIT! Nothing like starting your first linky party and having the time wrong! I am so excited to share today's post with you. 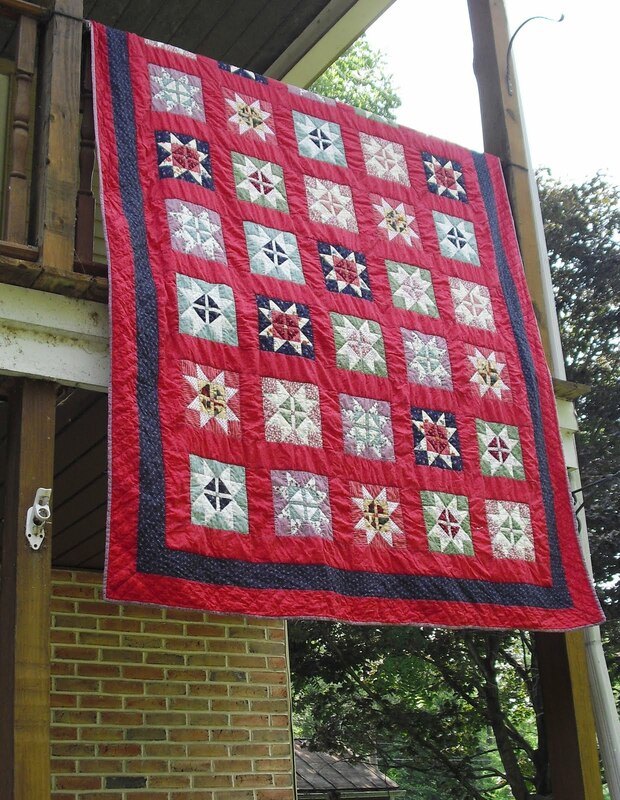 No, it's not a finished quilt....we have a fabulous new advertiser to our site! And have you seen this print? 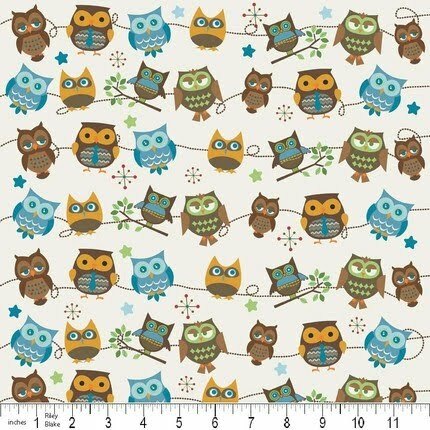 There is even this really cute panel in the Hooty Hoot Kangaroo by Riley Blake line that would be a darling and easy baby gift. Could this get anymore fabulous? Do you think I've been reading your diary?? How cute are these prints!! 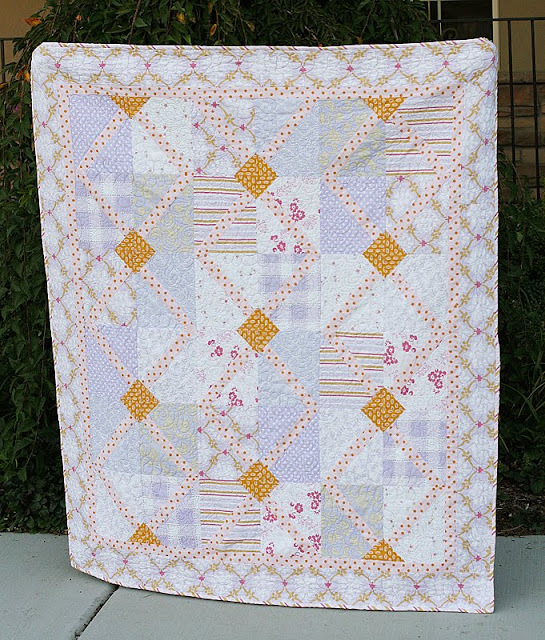 It is called Melodies by Exclusively Quilters in mint green and pink. I am really loving the damask, as always. separate comments for each please, makes it so much easier to tally! We will announce the two winners this Friday, August 27th. Check back! 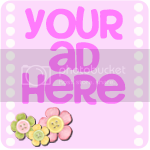 If you are interested in advertising with us, please check here. Rebecca from Merry Made Quilts created this oh so happy purple quilt for her grandpa. It really caught my eye because I've been going back to the days were I love purple! I love the look of this wonky bento box, very fun and refreshing. And what's more? 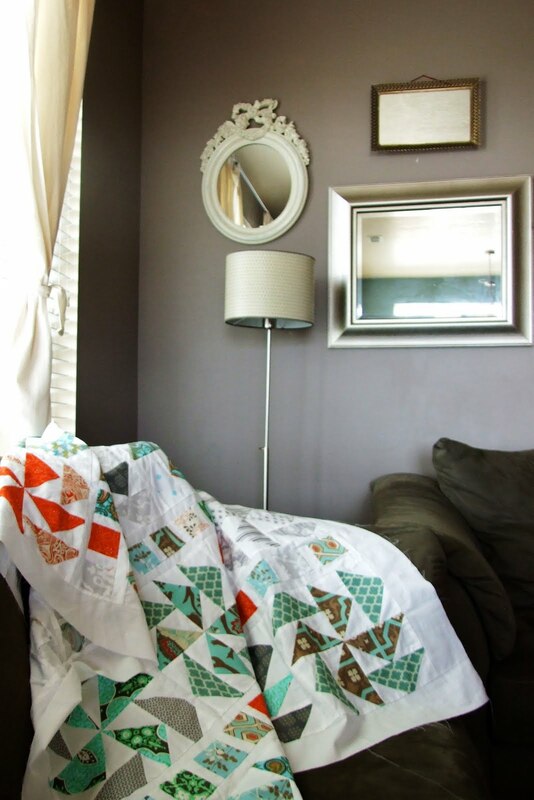 This girl likes to hand quilt! Amazing! 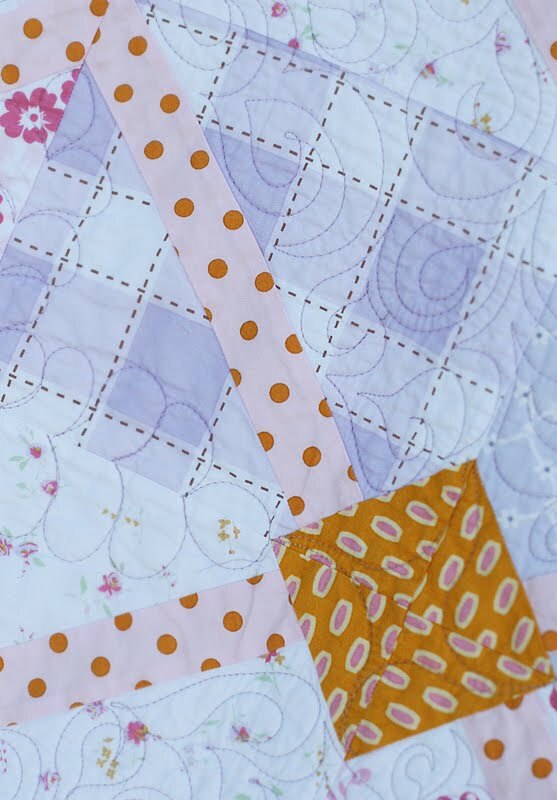 Hop on over to her blog to read about her love of fabrics, quilting and her cute kiddos. Never, mind the crazy baby in the background!! 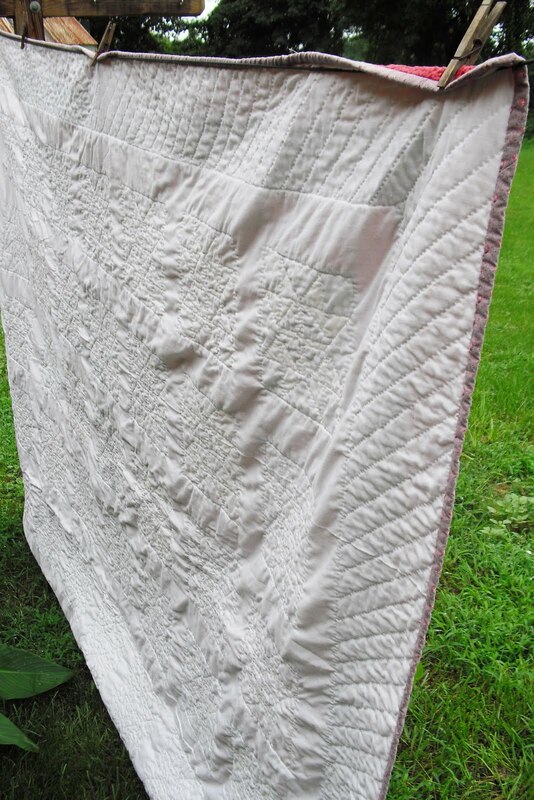 Over the course of about 3 months (mostly evenings) I hand quilted this lapsized quilt. I really enjoy the look of a hand quilted quilt. They just look so much more cuddly! 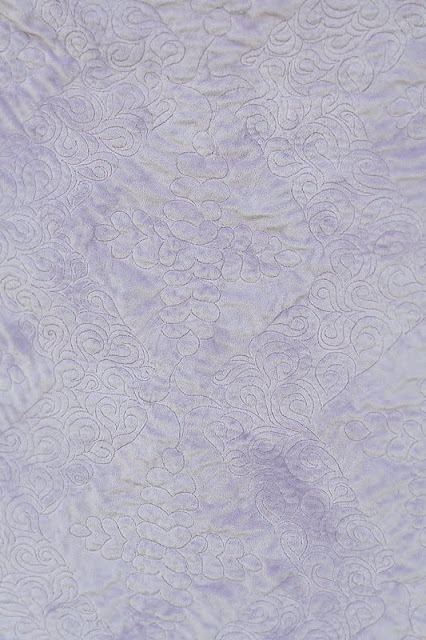 I made this one from scraps of purple mostly from Joanne's fabric, some from my mom's stash, some from mine. 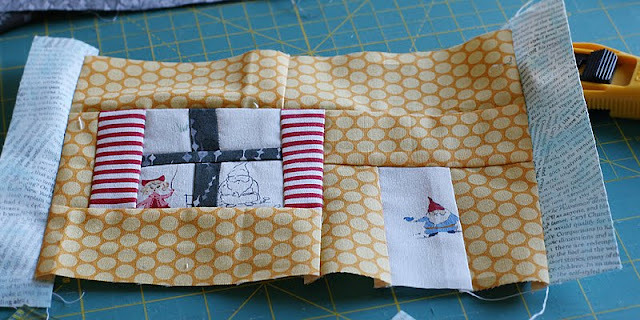 I love the feel of a "wonky" quilt so that's why I chose to do a variation of a wonky bento box. There are a ton of examples of this online so after some blog cruising I decided to make it up as I went! I made this one for my Grandpa because he LOVES purple. That's his favorite color and I decided it would make great payment for a wooden quilt hanging he recently made for me! I think my favorite part of a finish (besides getting to start the next) is the photo shoot!! I just love the feeling of accomplishing something! AND be sure to check back Monday!! 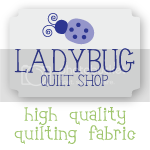 Some of you may have noticed our new sponsor in the corner, Ladybug Quilt Shop...she has an absolutely amazing FABRIC GIVEAWAY for you on Monday. And there will be more than one winner, so check back! 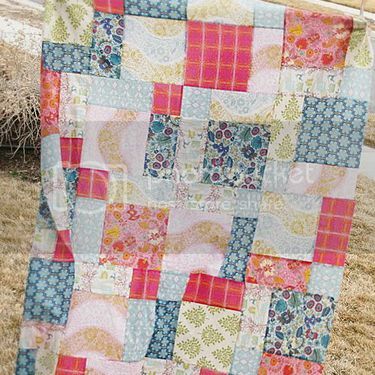 Back in late winter, when the sky and remaining snow cover were often the same shade of gray, I dreamed of making this colorful double pinwheel string quilt. 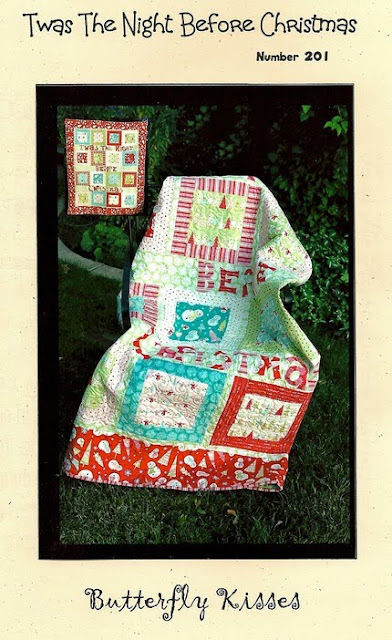 It was pictured in a book called String Quilts with Style, by Bobbie Aug and Sharon Newman, and it was just that—a picture. 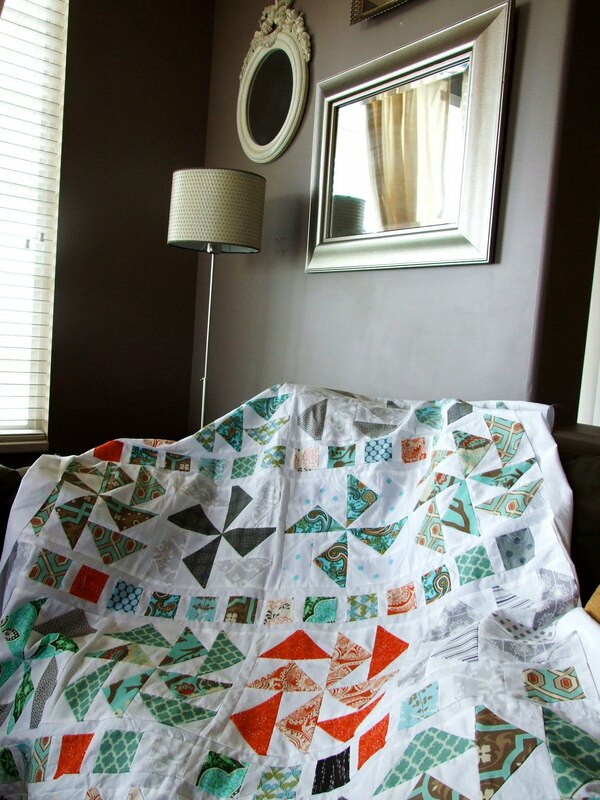 There were no instructions for this particular quilt. 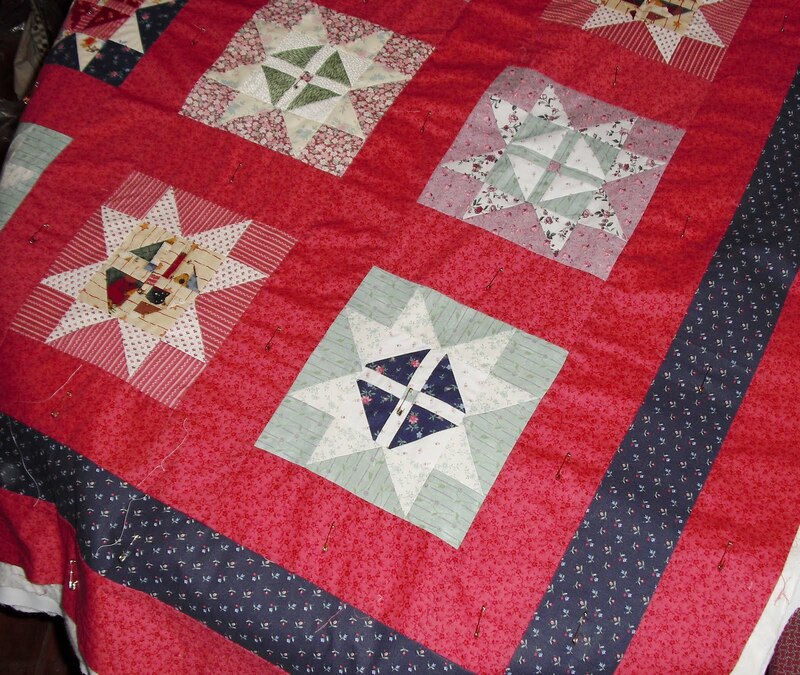 It was just a gallery example of an awesome string quilt. 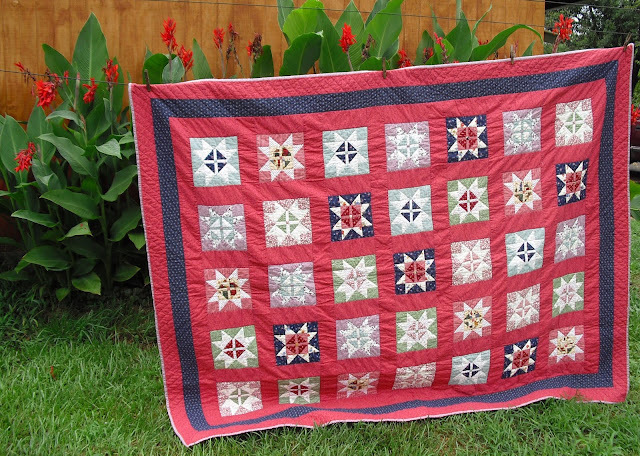 Personally, I think ALL string quilts are awesome. I’ve never met one I didn’t like, a LOT. 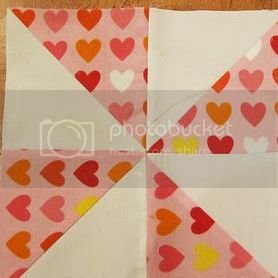 I feel the same way about pinwheel quilts. 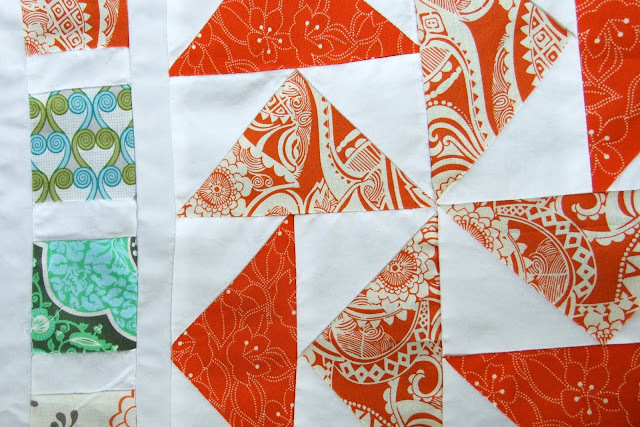 And scrappy quilts…and bold color? Bring it on! 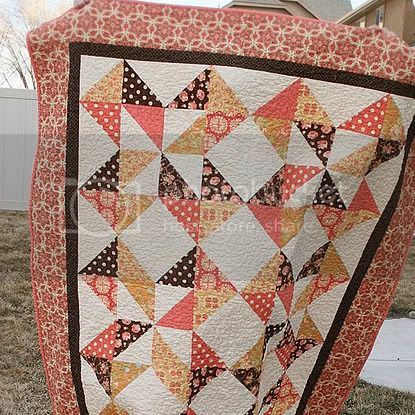 This quilt hit all my happy buttons! Without instructions and just the photo for reference, I was left to fly by the seat of my pants. So I busted out the old plastic protractor to determine the angle of the inner red pinwheel, did some fiddling to create a template, and away I went. I used all kinds of scraps for the strings—modern, traditional, vintage—which were pieced onto paper ripped out of the phone book. 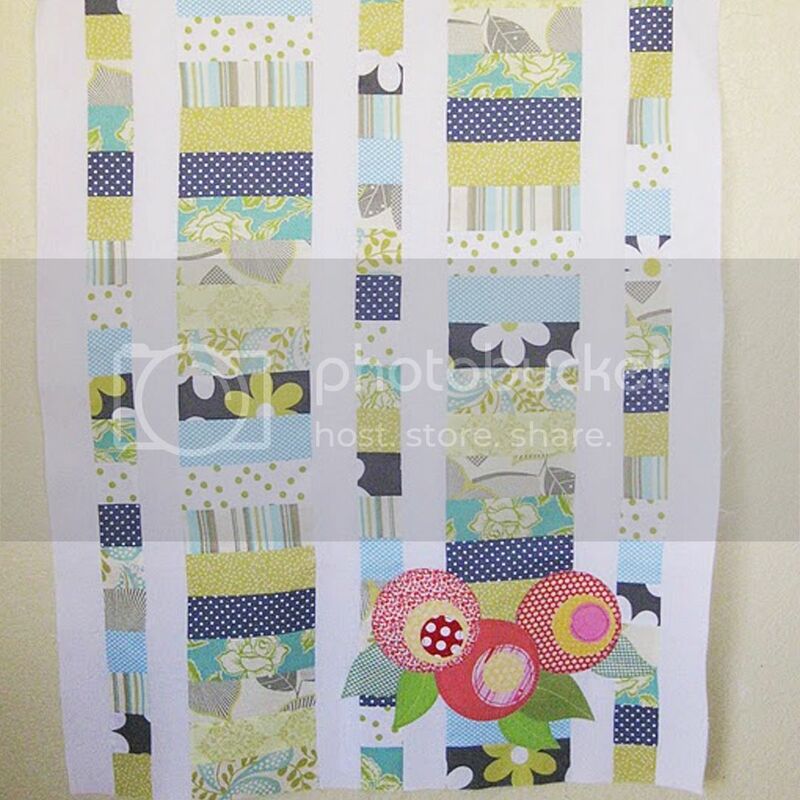 The blue fabric in the pinwheel blocks was a vintage fabric found at the thrift store. I ran short when it came time for the border, but fortunately there was a Kona blue that was an almost perfect match. 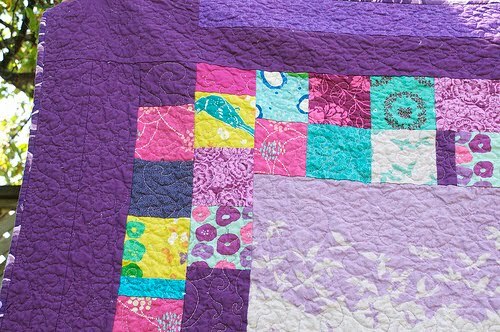 It was quilted by my long arm quilter, Sandy, with multicolored variegated thread in an allover design that reminds me of windblown pinwheels. You can find the details of how to make this quilt on my blog. I posted a four-part tutorial here. And if you make one, let me know—I’d love to see it! 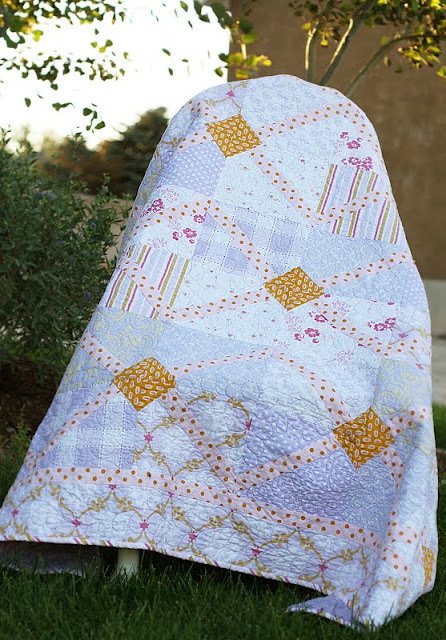 Thank you, Heather and Megan for the invitation to share this quilt on Quilt Story! 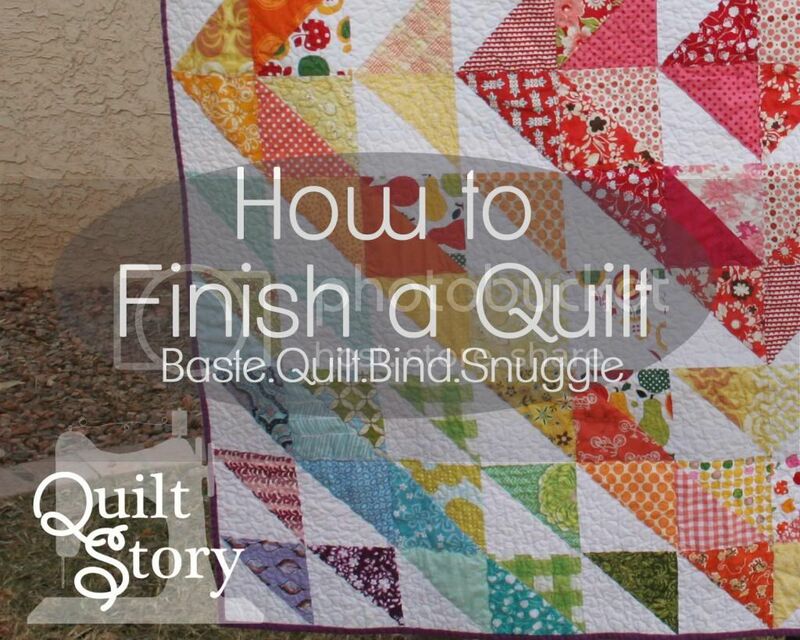 The basic story behind this quilt is that I realized if I take a few minutes here and there when I can focus my ADD. 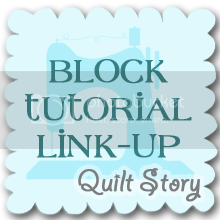 I can sew a stack of blocks. 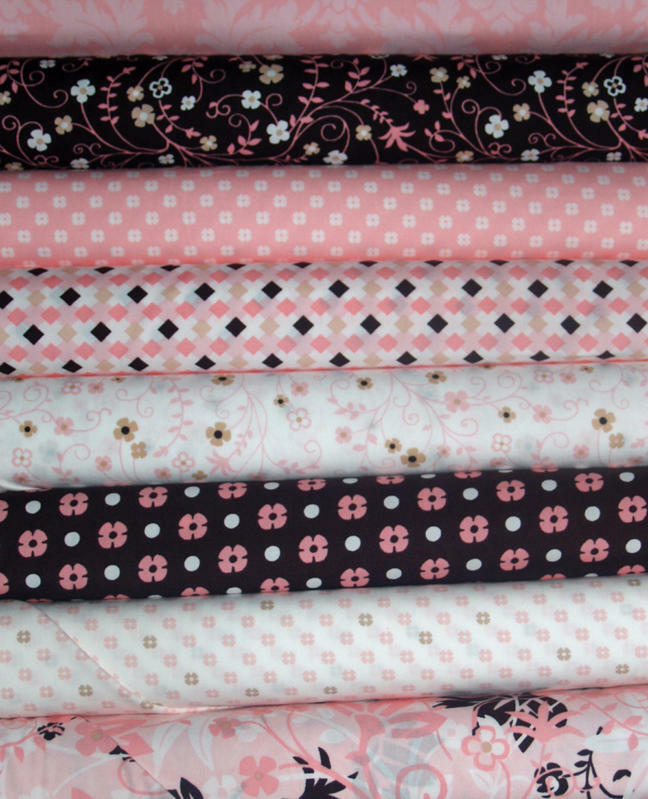 Or I can pin a pile of fabric while I am watching a show with my husband. Or I can iron a little pile in the 15 minutes while I am waiting for the carpool to pick up my daughter and have to be downstairs anyway. I always think I need 4-5 hours in peace, maybe a girl's craft weekend, Or a late night. 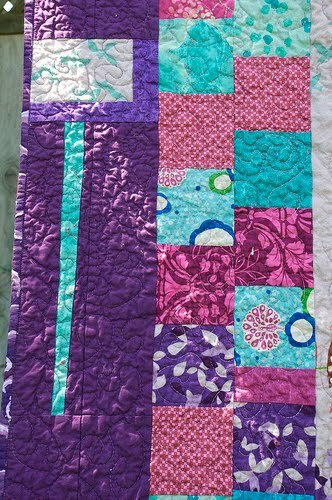 But if I take advantage of the 15-20 minutes I can sneak off and do each day, I can actually accomplish a quilt rather quickly. This is going into my daughter's room after I finally finish the nursery they are next! 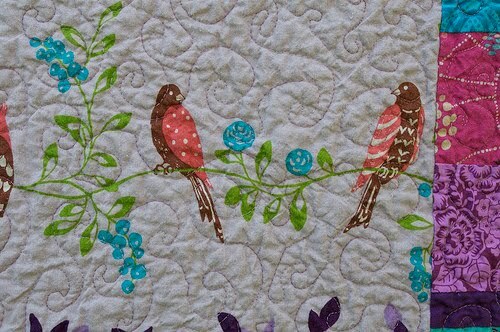 Check out the gorgeous quilting done by my fabulous nice Aunt. Love her! 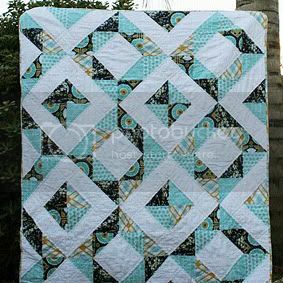 Love her quilting! 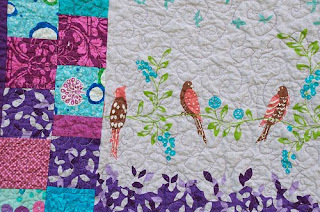 Details: Pattern from Livin' Large by Anka's Treasures. 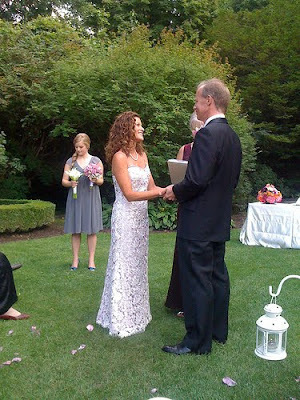 Designer Heather Mulder Peterson. Pattern "Modern Day Diamonds"
Fabrics: Most from Little House by FreeSpirit. Various other lavendar prints. Thanks for looking. linking to amylouwho.